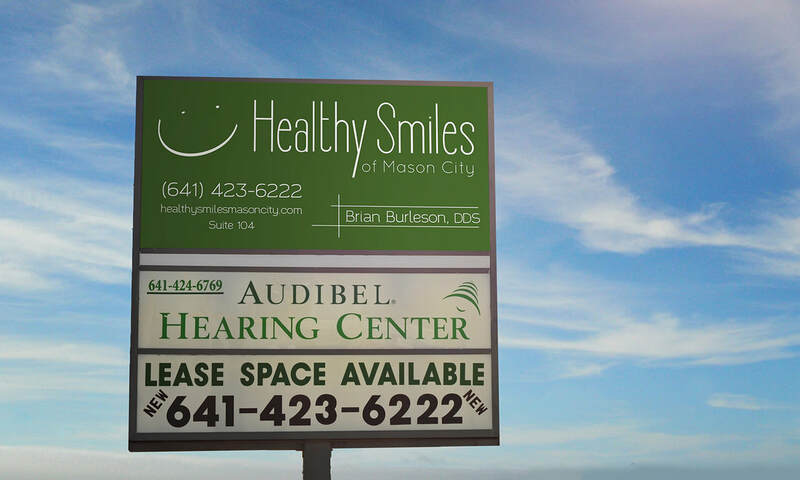 Healthy Smiles of Mason City is a dental practice in, you guessed it, Mason City, IA. I worked closely with Dr. Burleson to develop the perfect logo and other elements to completely brand his new dental practice to match his own unique view and philosophy of dentistry. Pictured here is a back-lit vinyl sign. Would a business really be a business if they didn't have cards? This is a staple of nearly every industry and it is very important to make sure that yours stands out in a good way from the sea of others that are out there. 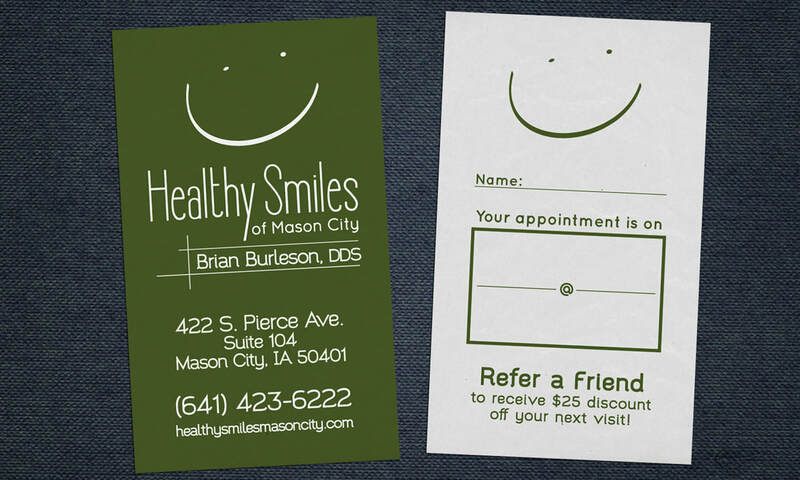 To help Dr. Burleson achieve this, we utilized a vertical design and added a special feature to the back of the card. On the back we created a spot to be able to write in a patient's next appointment time and advertised his referral program. This is a great example of how to use good marketing and branding to get the most value out of your advertising budget. More people will find your business online than anywhere else, which means that for most people your website will be the first impression of you business, and you know what they say about first impressions. You only get one shot at them! That is why it's very important to have a clean, mobile-friendly, and informative website. 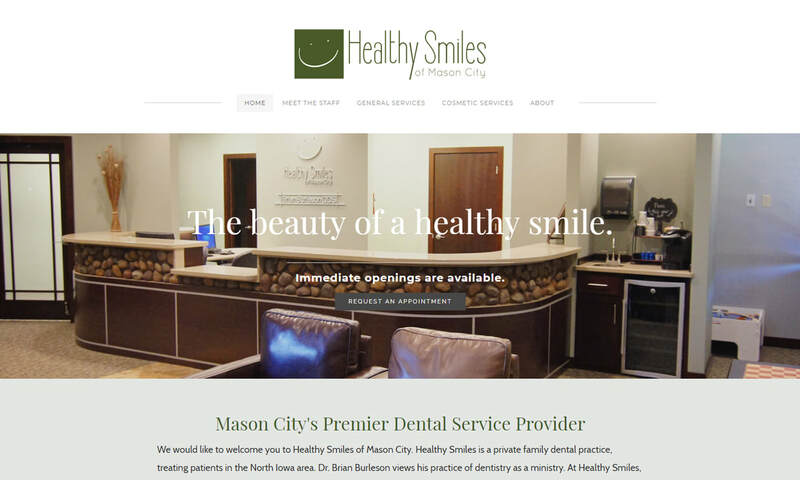 Below is a screenshot of the Healthy Smiles home page, but you can visit www.healthysmilesmasoncity.com or click on the picture below to check out the actual site.